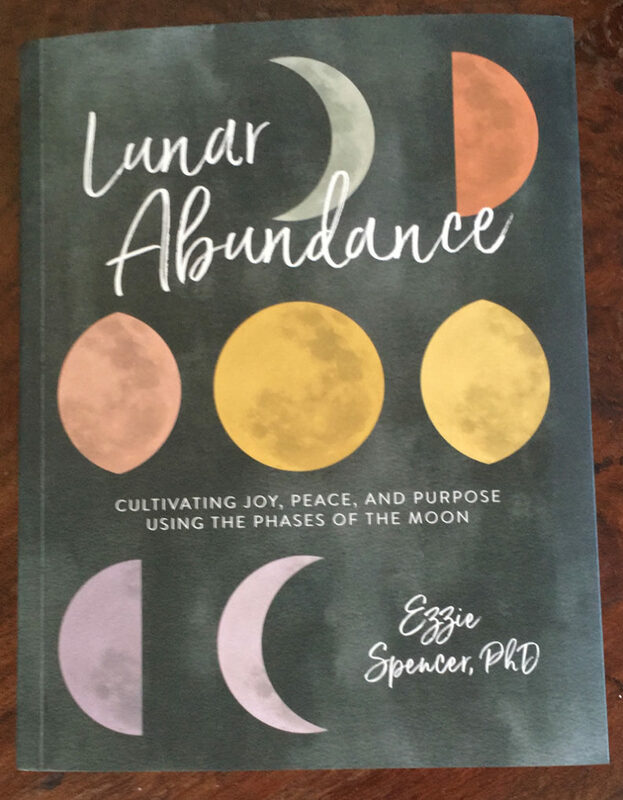 I am excited by the success of Ezzie Spencer, PhD, especially by the recent publication of her book, Lunar Abundance *, where she shares her personal practice of following the moon, which is ultimately a loving practice of self-awareness and self-care. Ezzie speaks to anyone who has ever been called by the feminine mysteries of the moon. She teaches women who have been attuned to Doing the value of Being by recognizing and honoring the Yin and Yang qualities of the eight phases throughout the lunar cycle. One of my dreams has been to see the world reconnect with nature and natural cycles. Understanding the rhythms of nature leads to living a more balanced and creative life. By eliminating astrological associations and focusing on history, psychology, and science, Ezzie has opened the concept of natural timing to a whole new audience: an audience of empowered women, hopefully large enough to change the world.